You know that we are all about things being simple, especially this time of year. 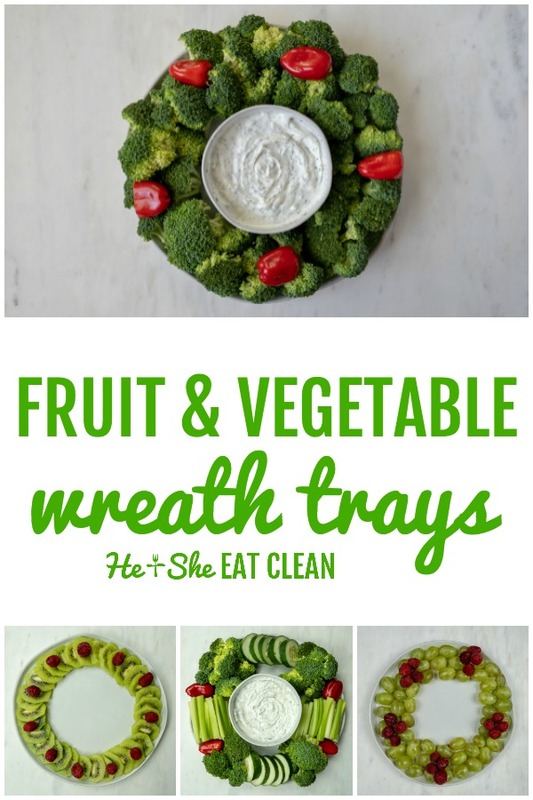 These fruit and vegetable trays are turned into festive wreaths with only a few minutes of preparation. Jazz up your next fruit or vegetable tray with one of these fun ideas! These were so fun to make! In just a few minutes, you can have something much more appealing than your standard fruit or vegetable tray. You can buy all of this produce at your local grocery store and wash and cut it up yourself or you can literally buy a vegetable tray at a place like Sam’s Club or Costco and just place it in wreath form on another plate! 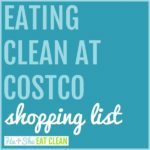 If you are the one hosting, we’ve written a post on how to throw a party on a budget by shopping at Costco and how to throw a party on a budget by shopping at Sam’s Club. Get the scoop on the cost of these vegetable trays plus appetizers and entrees. The best thing about these wreaths is that they are totally customizable. In the grocery store we literally just stood in the produce section and picked out the red and green fruits and vegetables that we wanted to use. You can use any combination. Below are some ideas. 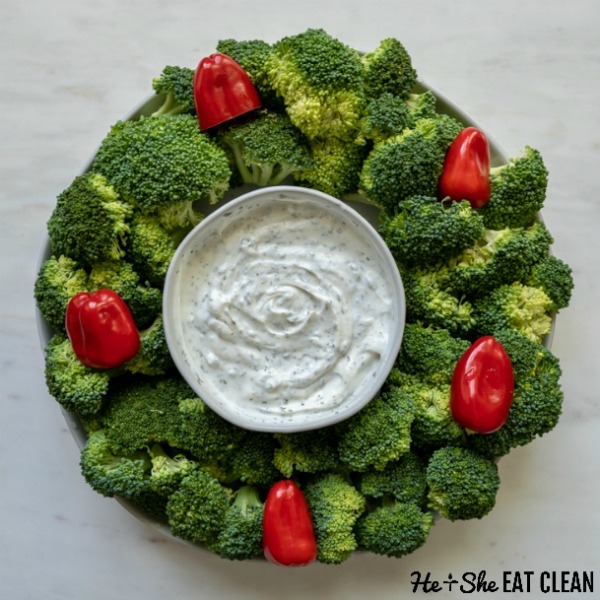 We made this vegetable wreath using broccoli, cucumber, celery, and red peppers. 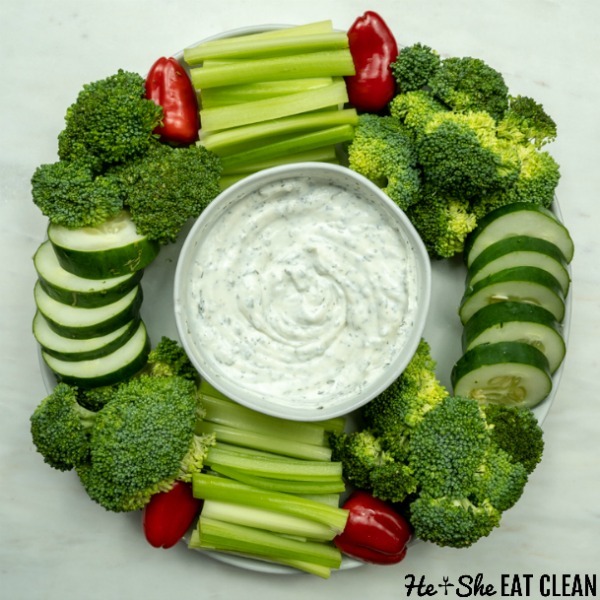 We paired it with our own ranch dip which is our DIY ranch seasoning mixed in Greek yogurt. 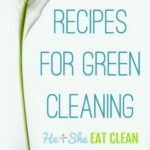 This one is similar to the one above but doesn’t take as much produce to make. Buy pre-washed and chopped broccoli and combine with your red vegetable and you are finished! 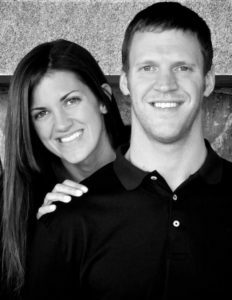 I must admit, this is one of my favorites! I love the color of the kiwi with the raspberries. 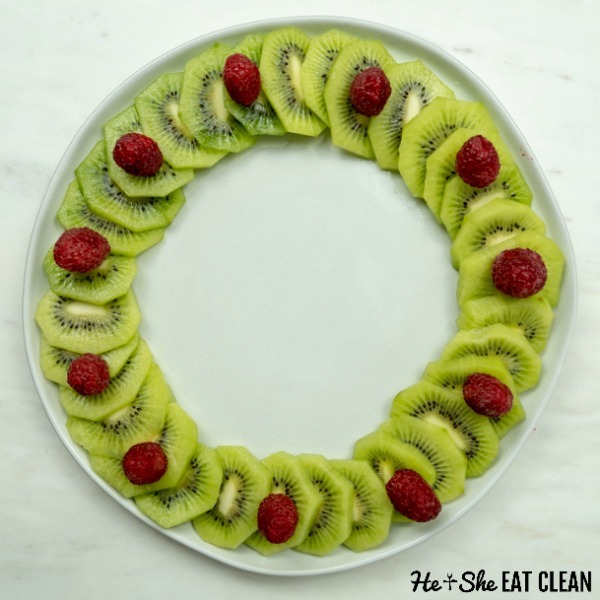 You could even do more than one circle of kiwis to make the wreath appear thicker. I wanted to do this one with green grapes and red grapes but I couldn’t find any red grapes that looked very fresh! 🙁 I also tried to use dried cranberries instead of raspberries but they didn’t look as pretty. 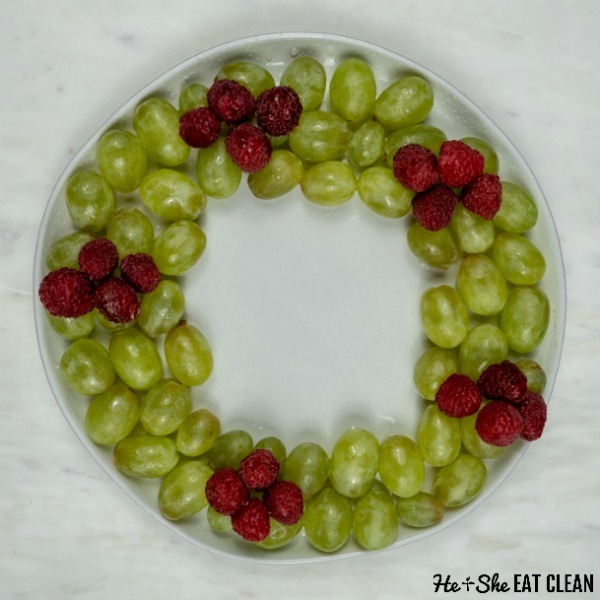 You could do this one exactly as I did or dress it up with green apples and/or green grapes and you will have a festive edible wreath to take to your Christmas party! An apple slicer (like this one) makes this wreath much easier to make. Don’t make this one too far ahead of time though to prevent browning of the apples. 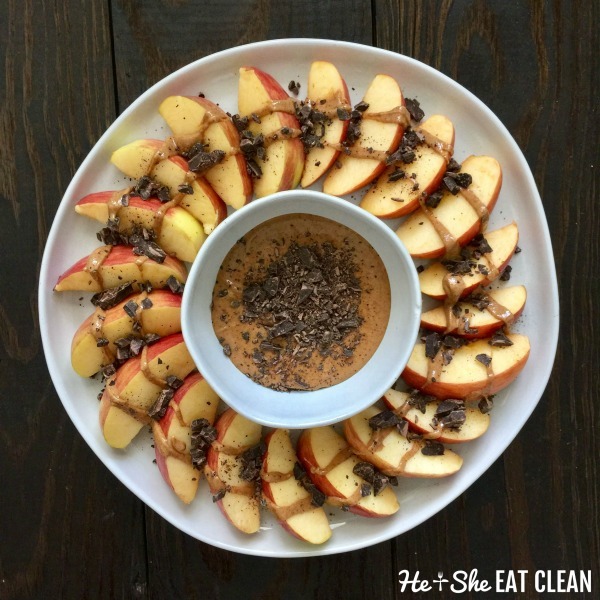 If you want to make a dip for the apples you can use peanut butter mixed with honey (as pictured) or use our Greek yogurt peanut butter pudding. YUM. That’s it! 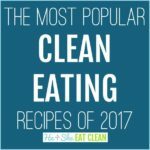 In just a few short steps and a few minutes, you can have a festive appetizer, side dish, or even dessert to take to your next Christmas party!